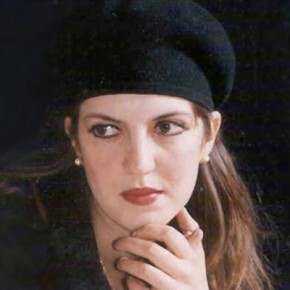 In her native Algeria, Meriem studied cellular and molecular biology at the University of Ferhat Abbas and later obtained her Master’s in Biochemistry at the University of Bejaia. At the same time, she was a correspondent for a newspaper, Le Soir d’Algérie, and host of several TV productions from France and Algeria. She established a programme with the UNICEF-affiliated Algerian Association des Oiseaux du Paradis for the reintegration of children facing academic challenges. With a group of ecology students, she founded the Association Ecologie et Vie de Sétif to increase public awareness of the importance of public hygiene and protection of the environment. Mimi received a scholarship to study biotechnology at the Mediterranean Agronomic Institute of Chania, Crete and two years later she went to The Netherlands to work in the Functional Genomics Laboratory of Plant Research International at the University of Wageningen, where she earned a Master’s in Biotechnology. In 2006-2007, Mimi was a British Chevening Scholar studying at the University of Glamorgan, Cardiff, Wales. Combining her predilections for Science and Communication, she completed her MSc in Science Communication with distinction. In addition to her studies, Mimi contributed to “Doing a Local Community Biodiversity Audit: A Handbook for Community Groups in Wales”. Mimi was also writing a novel. Before starting on her MSc, she worked as an assistant director on the Oscar-winning Costa Gavras movie “Mon Colonel” (2006), and also worked with Algerian TV on a program on social issues. Meriem died on September 1, 2007 in the tragic accident that also took the life of the Founding Director of the Sauvé Scholars Program, Jim Wright. She was spending the weekend with the Wright family en route to Ottawa where she was to deliver a paper on “Building public confidence with respect to gene therapy: the role of the media” at the prestigious Public Science in Canada/Strengthening Science to Protect Canadians Symposium. While in Montreal, Mimi honed her journalistic abilities, perfecting her television presenter skills under the tutelage of fellow Scholar, Paul Shore, writing sometimes impassioned articles (Mon voyage en Egypte) for the local media and hosting a morning program for Radio Centre Ville.